At Highlands Latin School, your children will have the unique opportunity to learn from many master teachers who have written textbooks in their area of expertise. Textbooks written by Highlands Latin teachers are used by more than 100,000 students across the country each year. In 1996, Cheryl Lowe wrote the most popular Christian Latin program available today. Her Latina Christiana and First Form Latin texts have been used by more than 250,000 students and are carried by textbook distributors in the United States, Canada, England, Ireland, South Africa, New Zealand, and Australia. Mrs. Lowe has written more than a dozen other textbooks covering phonics to classical studies. 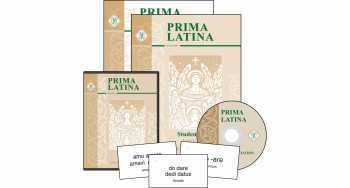 Following on the success of Latina Christiana, Leigh Lowe wrote Prima Latina, an introductory Latin program for students in 1st – 4th Grade and led the development of curriculum guides in several grades. Leigh also teaches in a series of Latin DVD courses that are used to train and prepare new Latin teachers and students across the country. 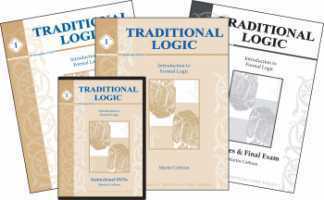 While teaching at Highlands Latin, Martin Cothran wrote his Traditional Logic, Material Logic, and Classical Rhetoric texts. Martin’s books are the leading publications in upper level classical education and are empowering thousands of teachers and students to delve into the advanced stages of the trivium. Other published teachers include Kelly Booker, Sean Brooks, Kyle Janke, Elizabeth Pierce, Dr. Shelburne, Tara Luse, Krista Lange, Brenda Janke, Anne Perry, and Jessica Watson. 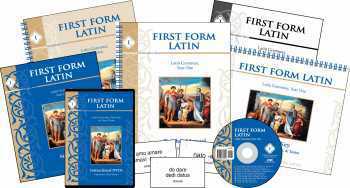 These courses and more than 40 other texts written by Highlands Latin teachers are published through a partnership with Memoria Press.